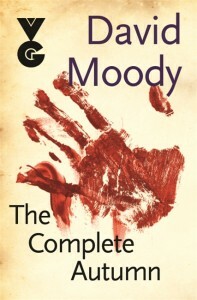 All five books in David Moody's acclaimed series are now available. Click here to find out more. Paperback, eBook and signed and numbered limited edition hardcover. More than 120,000 words of free AUTUMN fiction now available. Character back-stories, stand-alone shorts, exclusive novellas... Click 'free fiction' above to start reading. Welcome to www.lastoftheliving.net - the official website of David Moody's AUTUMN living dead series. A vicious, virulent disease destroys more than 99% of the world's population in a single day. Before the handful of survivors that remain can even begin to come to terms with what has happened, the disease strikes again, and all hell breaks loose. Five novels, a companion collection, a movie, an audio adaptation and more than 100,000 words of free zombie fiction! All in all, I HIGHLY suggest any fan of the fiction realm of reading, to go to your library, order it off Amazon, or however you can read this book, to read it. I assure you, if you are a fan of ficitional horror, that you will be pulled in to this vast realm of survival, trust, un-likely friendships, and of course, zombies. 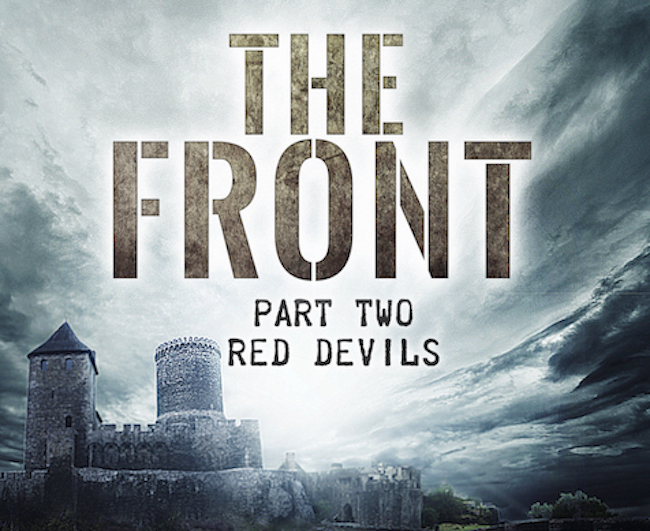 David Moody releases a new zombie novel - THE FRONT: RED DEVILS. World War II Nazi zombies... what's not to like? My new book, THE FRONT: RED DEVILS will be released on 15 February from Amazon.com, Amazon.co.uk, Amazon.ca, Amazon.de and others. Signed paperbacks are available from www.infectedbooks.co.uk. The German stranglehold on the town of Bastogne has been released, only for the living dead to rise up and take their place. A ragtag group of men fight their way out of the chaos and make a frantic escape from the rubble and ruin. One of them, British soldier Lieutenant Robert Wilkins, uncovers crucial information about the source of the zombie scourge. Along with a crack team, Wilkins is dispatched to where the outbreak began - the ominously silent concentration camp at Polonezköy, Poland - to try and find a way to halt the undead advance. The fate of the entire world rests on the shoulders of just a handful of men. Pre-order now from Amazon.com, Amazon.co.uk, Amazon.ca and Amazon.de. We're pleased to announce a free audiobook version of the pivotal AUTUMN tale, JOE & ME, is now available to download. Produced by This is Horror and Infected Books, the audiobook is written and narrated by David Moody himself. We're pleased to announce a free audiobook version of the pivotal AUTUMN tale,JOE & ME, is now available to download. Produced by This is Horror and Infected Books, the audiobook is written and narrated by David Moody himself. Click here to download JOE & ME. LAST OF THE LIVING - out now! 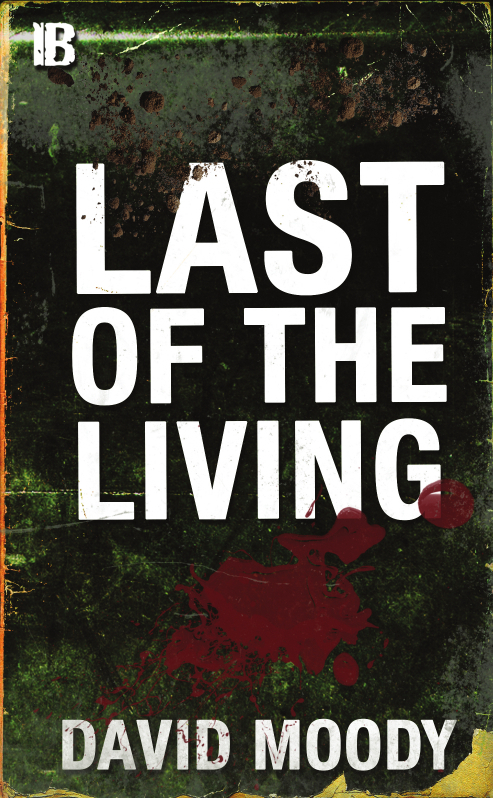 LAST OF THE LIVING - AUTUMN author David Moody's final word on the living dead, is available now in paperback worldwide. 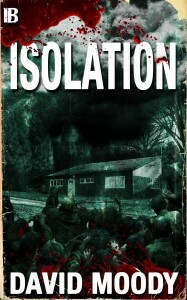 David Moody announces the release of ISOLATION - a brand new zombie novella, which comes bundled with four additional zombie short stories. Suddenly Keith’s free. For the first time in a long time, he’s got nothing to worry about (apart from several hundred thousand reanimated corpses heading his way). But then he meets Anna, and everything changes again. Cocky, cool, confident... she’s everything Keith isn’t. Holed-up together in an isolated bungalow, besieged by the living dead, will they survive, or will they tear each other apart before the dead can get anywhere near? 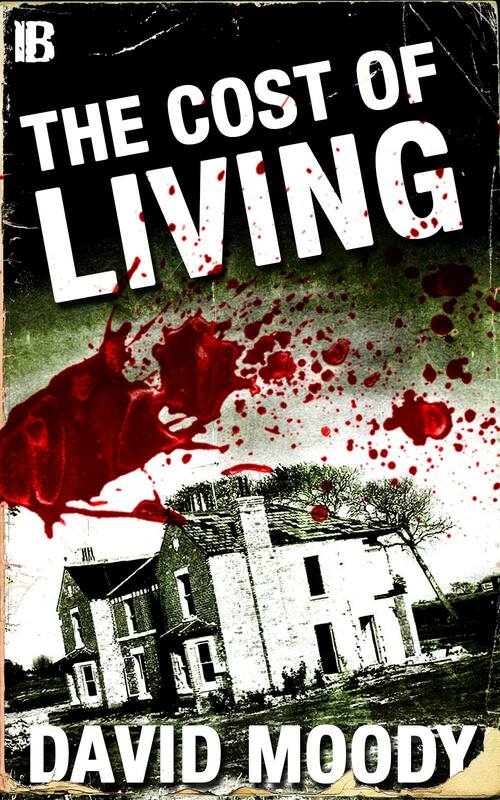 David Moody announces the release of THE COST OF LIVING - a brand new zombie novella. I know I've been quiet again recently - much going on, not all writing-related. Anyway, I'm very pleased today to announce a surprise release. I've gone back to zombies and the end of the world for THE COST OF LIVING - an ebook-only novella (hopefully the first of many) which is now available from Amazon worldwide for $1.99 (links below). I combined everything I've learnt about writing apocalyptic zombie stories with everything I've learnt about creating real, believable characters, and I'm thrilled with the result. On a recently-built housing development on the outskirts of a large city, one man will stop at nothing to protect his family from the coming storm. Stuart has been one step ahead of the game from the beginning. His garage is stocked high with supplies, the doors and windows of his home fortified, weapons held ready in case of attack. With each passing minute, there are more infected surrounding the house. With each passing minute, Stuart and his family have less food and water available. Some time very soon, the balance will shift. But Stuart won’t stop give up on his family, no matter what the cost. Enormous thanks to my good pal David Shires of www.theimagedesigns.com for the cover art. More about David coming soon! The limited edition of AUTUMN: AFTERMATH (published by Infected Books in collaboration with Gollancz) is now available. Click here to read more from David Moody. "Welcome to my office, which became noticeably smaller yesterday following the delivery (at long last) of the limited hardcover edition of AUTUMN: AFTERMATH, published by Infected Books in collaboration with Gollancz. Nine hours (yes, really) of signing and packing and the whole lot was delivered to a very understanding chap at the post office late last night. All orders have now been dispatched, and I wanted to take this opportunity to once again thank everyone who pre-ordered the book for their support and their patience. As you can see, the full set of UK hardcovers looks great. It's satisfying to see all the books together (albeit almost a year and a half later than planned). There are a handful of copies of this extremely limited edition available. If you want one, you can pick one up from www.infectedbooks.co.uk or ebay ." The limited edition Infected Books/Gollancz hardcover of AUTUMN: AFTERMATH is now available to pre-order. Order before 10th January and your name will appear in the book. Today sees the launch of two new AUTUMN releases in the UK. From www.davidmoody.net: " Today sees the launch in the UK of two new AUTUMN releases from Gollancz. First up is THE COMPLETE AUTUMN - an ebook only collection of the five AUTUMN novels (Autumn, The City, Purification, Disintegration and Aftermath) available in all major formats: Kindle / iBook / Nook / Kobo / ePub (Waterstones) / ePub (Hive). A great way to get into the series if you haven't yet read the books. And don't forget, for full completeness you can also pick up THE HUMAN CONDITION for the bargain price of £1.99! Also available from today is the mass market paperback edition of AUTUMN: AFTERMATH (Amazon / Book Depository / Waterstones / Hive / Indiebound). There are a few copies available at www.infectedbooks.co.uk - the Infected Bookstore. I know many of you are waiting for news about the limited edition AFTERMATH hardcover... it's coming. I'm sorry it's taking so long. I've been in conversation about it this week and hope to open pre-orders (with a cool little addition for those folks pre-ordering) before the end of October. For those who've yet to hear about this project, click this link for more information." AUTUMN: AFTERMATH - can you spare five minutes? Complete your collection with the limited edition AUTUMN: AFTERMATH hardcover, coming November 2013 from Infected Books in association with Gollancz. As recently announced by David Moody, this book will be produced to order. To assess the financial viability of the project, we need a rough idea of the number of copies required. We'd be grateful if you'd take a few seconds to complete a brief questionnaire by visiting djmoody.co.uk/aftermath. There's no obligation - this is simply an expression of interest. All copies of the AUTUMN: AFTERMATH hardcover will be available exclusively via Infected Books, and will be personally signed by David Moody. The book will retail for £20.00. Those people who have purchased the AUTUMN: THE HUMAN CONDITION limited edition hardcover (currently on offer - see here for details) will be eligible for a discount. Please remember - this is a one time only printing of this edition of AUTUMN: AFTERMATH. This edition will NOT be available again! An update from David Moody on the soon to be released AUTUMN: AFTERMATH limited edition hardcover. Click here to read the update at www.djmoody.co.uk. Herbst: Ausklang - the German language edition of Autumn: Aftermath - will be released in September. See www.djmoody.co.uk for more details. We're thrilled to announce that the new, expanded edition of AUTUMN: THE HUMAN CONDITION is now available. Read the full post at David Moody's website. Follow this link to find out more (and get your hands on a copy of the strictly limited, signed and numbered hardcover edition). David Moody has today revealed the cover art (by Craig Paton) for the new edition of Autumn: The Human Condition. "I'll just let the image do the talking. Here's Craig Paton's magnificent cover design for the new edition of AUTUMN: THE HUMAN CONDITION. After my update last Friday, I'm hearing that the AUTUMN: AFTERMATH limited edition might be nearer to production than expected, so I'm holding off releasing any more details about either book just yet. I'd rather they were launched together, so folks can order both and benefit from reduced shipping costs etc. Please add your name to the limited editions mailing list (click here) to be advised the moment orders open for these books. The hardcovers will be strictly limited in number, and I don't want you to miss out. I hope you like this new cover as much as I do. Another stunning piece of work from Craig. Stay tuned for more information in the coming days, including the announcement of the biggest competition I've yet put together - a fitting way to bring the AUTUMN series to a close." David Moody has announced the publication of a definitive, expanded version of AUTUMN: THE HUMAN CONDITION - the final word in the AUTUMN series. David Moody has announced the publication of a definitive, expanded version of AUTUMN: THE HUMAN CONDITION - the final word in the AUTUMN series. Available in print for the first time since 2008, the book will come as a limited edition hardcover, trade paperback and eBook. Click here to register your interest. "The human race is finished. Mankind is all but dead and only a handful of frightened individuals remain. Experience the end of the world from more than forty different perspectives. These people have survived through chance, not skill, and they are a desperate bunch; cheating lovers, work-shy civil servants, permanently drunk publicans, teenage rebels, obsessive accountants, failed husbands, first-time cross-dressers, disrobed priests and more. Part-companion, part-guide book and part-sequel, AUTUMN: THE HUMAN CONDITION follows the individual stories of these desperate survivors through the early days of the nightmare and beyond." David Moody has posted an important announcement about the hardcover edition of Aftermath. "I promised you some news about the AUTUMN: AFTERMATH UK hardcover, and here it is. First, a little background information. As you know, the publishing industry is changing rapidly, almost by the day. What was economically viable last month, may not be today. Also, here in the UK, many public libraries are closing or reducing the service they offer. 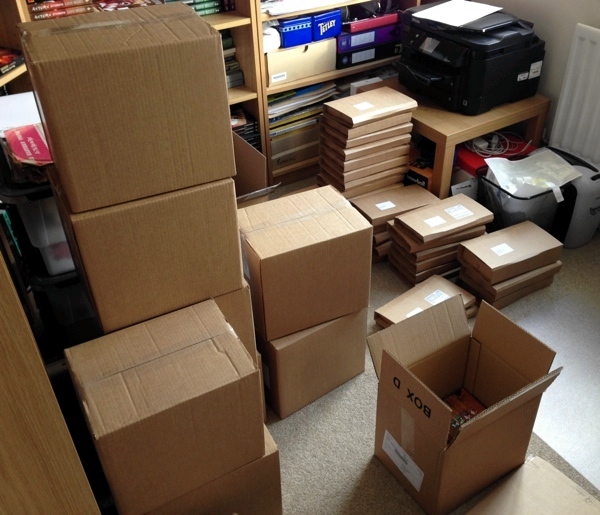 So what's all this got to do with the publication of the final AUTUMN book? Quite simply, the market for hardcover editions has vastly reduced. In light of this and other factors, Gollancz has reviewed its policy towards producing hardcovers, and the decision has been taken not to release them for many new books. Can you see where this is going? The team at Gollancz has, regrettably, decided not to publish the AFTERMATH hardcover. But wait! The folks at Gollancz are great people, and I run a (very) small publishing company, so between us we've come up with a solution, and I think you'll like it. In early 2013, the UK hardcover edition of AUTUMN: AFTERMATH will be published by Infected Books. I'm really excited about this - it feels very right. The Infected Books edition will (hopefully) match the look and feel of the previous hardcovers, so will complete the set nicely. Pricing and ordering details etc. will be announced shortly. I can't say much else right now, but I guess the major difference I need to make you aware of is that this will be a limited (signed and numbered) edition. I want everyone to be able to get hold of the book, so I'm opening up a mailing list solely for announcements about the release. If you're interested, please visit this page and add your email with absolutely no obligation. Finally, if you pre-ordered the Gollancz hardcover and have been waiting expectantly - I'm sorry. Please cancel your orders and hold tight. Alternatively, if you can't wait and you want to read the book now, the trade paperback is available from the following: Amazon / Book Depository / Waterstones, and the eBook is available in all the usual formats: Kindle / iBook / ePub / Kobo." A new story has been added to www.lastoftheliving.net today. Kieran Cope is a key character you'll meet in AUTUMN: AFTERMATH, and he's based on a real person. The real Kieran Cope won an auction to appear in the book. Visit www.djmoody.co.uk to find out more about Kieran and how he came to be a part of AUTUMN. Then click here to read his story. Moody talks about THE HUMAN CONDITION and the mass of AUTUMN short stories he's written, with news of a brand new story coming soon. David Moody takes a look back at AUTUMN: DISINTEGRATION - the penultimate novel in the series. Visit www.djmoody.co.uk to read more. David Moody takes a look back at AUTUMN: PURIFICATION - the third novel in the series. David Moody takes a look back at AUTUMN: THE CITY - the second novel in the series. With the end of the series fast approaching, author David Moody takes a look back at each part of AUTUMN, beginning with the first novel. "I promised to tell you about two new projects this week: here's the first. Many of you will already know about This is Horror - an excellent website which, in its short existence, has developed a large following and a reputation for being a key resource for finding out about all things horror. The founders of the site have plenty of enthusiasm and ambition, and are about to branch out into a new venture: the This is Horror Premium Chapbook series. These chapbooks will be released every quarter and will showcase original stories from (in TiH's words) "some of the very best names in the genre today". I'm honoured to have been asked to contribute a story, and I'm very pleased to announce that my piece - Joe and Me - will be the launch title. I don't want to say too much at the present time, I'll just give you the salient facts: the chapbooks will be strictly limited to 500 copies, and Joe and Me will be launched in early June (with a launch event to take place in Warwick later in the month). Pricing, subscription and ordering details will be made available very shortly, but for now you can find out more by visiting this page over at www.thisishorror.co.uk. My story will be followed later this year by tales from Conrad Williams, Joseph D'Lacey, and a collaborative story from Gary McMahon and Simon Bestwick. So what's Joe and Me about? Well again, I won't give too much away at this stage, I'll just say that if you have even a passing interest in the AUTUMN series, you might want to check it out!"